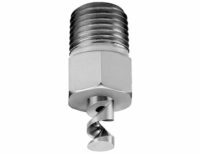 Spiral spray nozzles produce fine atomisation, the smallest droplets coming from a non-misting, direct-pressure nozzle. 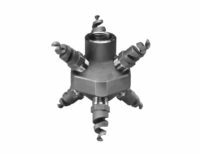 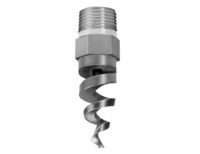 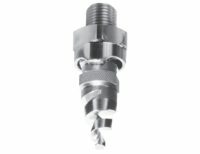 Spiral spray nozzles, also called helix, pigtail, or corkscrew, disperse liquid as shear along the turns of the spiral. 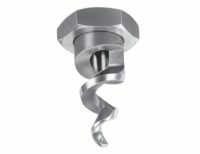 There are no internal parts, but instead it has an external spiral vane. 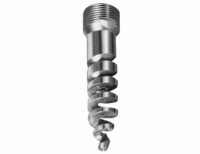 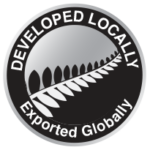 If you desire a small drop size, the spiral design can increase process efficiency. 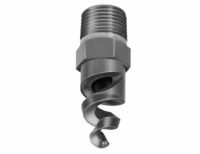 If you need more coverage or increased angle formation at higher pressures (vs. whirl style), spiral nozzles provide excellent results. 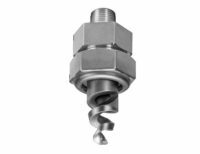 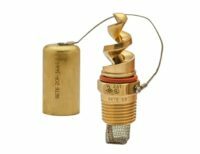 N series is an UL/FM approved spiral and similar to deflector-type fire nozzles for fire protection systems.